We all know that mobile users grow by the day, making it extremely important that your business is easily found and viewable on mobile devices. Did you know that 88% of consumers who search for a type of local business on a mobile device call or go to that business within 24 hours? Even with all of the data we have on mobile growth there are still businesses that have websites that are not mobile friendly. This gives visitors a horrible user experience and results in lost revenue for the business. Has your business converted to a responsive website design yet? If not you are losing out and need to consider making the change immediately. A responsive website design adapts to different devices and screen sizes automatically, displaying an easy to navigate to each and every visitor that lands on your website. As mentioned above, mobile users are growing at a rapid pace, but even with all of the data and statistics available many businesses still don’t have a responsive website. If you want to see even more data and numbers about mobile usage make sure to check out this infographic. Mobile as well as tablet use is not going to slow down any time soon! It is public knowledge that Google prefers responsive websites to mobile template sites, as having one single URL makes it easier for everyone involved, including Google. Not only is it easier to just maintain one website, rather than an additional mobile version, but if Google makes it public that they prefer one option over the other it is a good idea to go in that direction. A fast website provides a better user experience, but it also helps with organic search rankings. A regular website will take much longer to load on a mobile device, really impacting your page load speed. Not only will visitors leave if the website takes too long to load, but the search engines can view your site as low quality, and see it as a site that is not beneficial to their users because of the slow load time. 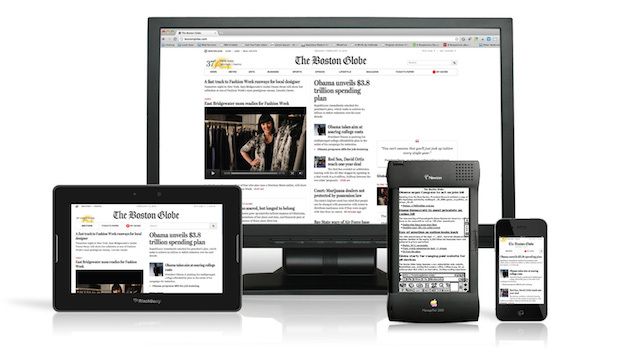 As we just mentioned, responsive websites give your users a great experience. A responsive website adapts to the screen automatically, and presents the information in an easy to browse format. If your users land on your website and have a hard time finding what they are looking for they are more likely to leave and not return. With a responsive website they can browse your content and navigation with ease, finding exactly what they are looking for. Providing an effortless experience is key to keep them coming back. When the mobile providers introduce a new screen size or new tablet dimensions your responsive website will automatically adapt and fit the screen. Look at what the future is bringing us. Users will be able to view your website on glasses, watches, mobile devices, tablets, laptops and desktops. They are going to search on whatever device is more convenient for them, not what device will work best with your website. Now is the time to get responsive if you haven’t already. If you have an effective online marketing strategy then you are using social media as well as a blog to create and spread content. Over half of all viewers are looking at it and sharing it using mobile devices. Imagine if over half the individuals that clicked on a link to your content using a mobile device couldn’t read it properly? That would absolutely kill your marketing campaign. Simply put, not having a responsive website design will hurt your business. There is no reason that you should delay any longer. Get responsive and provide all of your website visitors with a pleasant experience. This will keep them engaging with your brand, ultimately resulting in conversions, sales, and revenue for your business.